We are pleased to announce our album release party on SATURDAY, OCTOBER 12 at the Ukrainian National Home in the East Village. 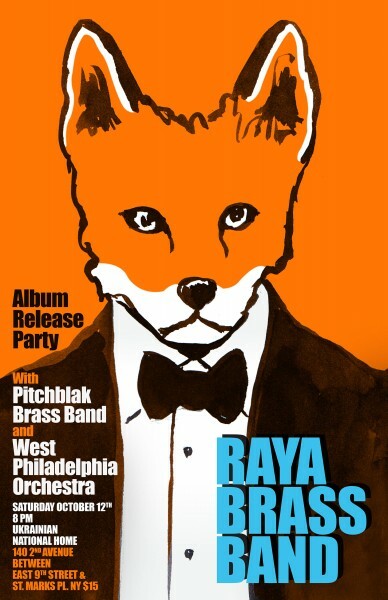 And we’re very excited that our friends in Pitchblak Brass Band and the West Philadelphia Orchestra are going to be joining us for the festivities. This is going to be a proper party with food, music and fun, so mark your calendar! Remember that if you contributed to Raya Brass Band’s recent Indiegogo campaign, you have a free ticket to the party.